﻿ When Dreams Aren’t Realized - What Should You Do? Over a half century ago, I sat in Latin class attempting to translate Commentarii de Bello Gallico, which means in English Commentaries on the Gallic War. 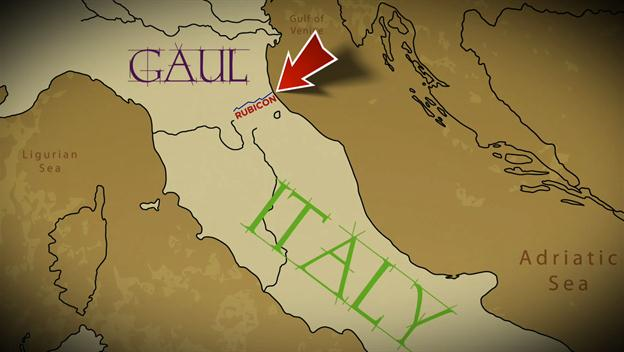 Nevertheless, this is the opening sentence of Julius Caesar’s Gallic War, “Gallia est omnis divisa in partes tres, quarum unam incolunt Belgae, aliam Aquitani, tertiam qui ipsorum lingua Celtae, nostra Galli appellantur,” which is translated into English, “All Gaul is divided into three parts, one of which the Belgae inhabit, the Aquitani another, those who in their own language are called Celts, in ours Gauls, the third.” Essentially, Julius Caesar is recounting his conquest of Gaul. Once he had accomplished that nearly impossible task, he was able to return to Rome and become their supreme military leader. 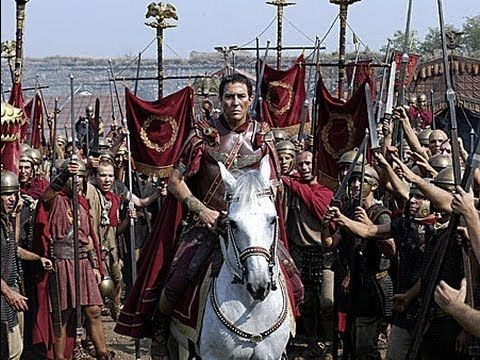 On January 10, 49 BC Julius Caesar crossed the River Rubicon. I can still remember some fragments of Latin grammar like conjugating hic, haec, hoc, the singular pronoun in Latin for the English word, this. Nevertheless, “Alea iacta est” is far more important remembrance. This is Caesar having crossed the Rubicon. That remembrance is merely the backstory. This essay recounts a similar situation staring me in the face. There have been a handful of issues that have pushed me to crossing my Rubicon. I have wanted to interview Aung San Suu Kyi over two decades. She became the leader of Burma due in part for speaking at a protest rally, which resulted in the 8888 Upraising. The 8888 Uprising was due to the military killing many Burmese on August 8, 1988. Estimates of loss of life range from several hundred to 10,000. Despite the deaths, Daw Aung San Suu Kyi became the de facto leader of the resistance to the military dictatorship. In 1991, she won the Nobel Prize for Peace for her efforts. In the past decade, I have danced with death twice due to a traumatic brain injury and prostate cancer that had metastasized beyond the prostate. Those two dances taught me two critically important things. One is that dancing with death caused me to come alive. However, it also taught me that I am not immortal. Therefore, I had to live life more driven than I had in the past prior to my two dances. Then there is Ti Ti. Her mother was my tour guide in the Inle Lake region of Myanmar. I spent an hour playing Scrabble with Ti Ti when her mother had to pick up some material pertaining to my itinerary at her home after leaving the area around Inle Lake. When I was in Myanmar three and a half years ago, Min Ko Naing invited me to a protest rally at Sule Pagoda where the 8888 Uprising took place. The rally that I attended was on their Independence Day, which is January 4. Playing Scrabble with Ti Ti and attending a protest rally at Sule Pagoda changed my life in a most positive manner. Then there is Maureen. I owe Maureen and her family a great deal. A year ago, I was riding my bike on the road that circumnavigates the lake on which I live. I had done that for years as a cardiovascular exercise. 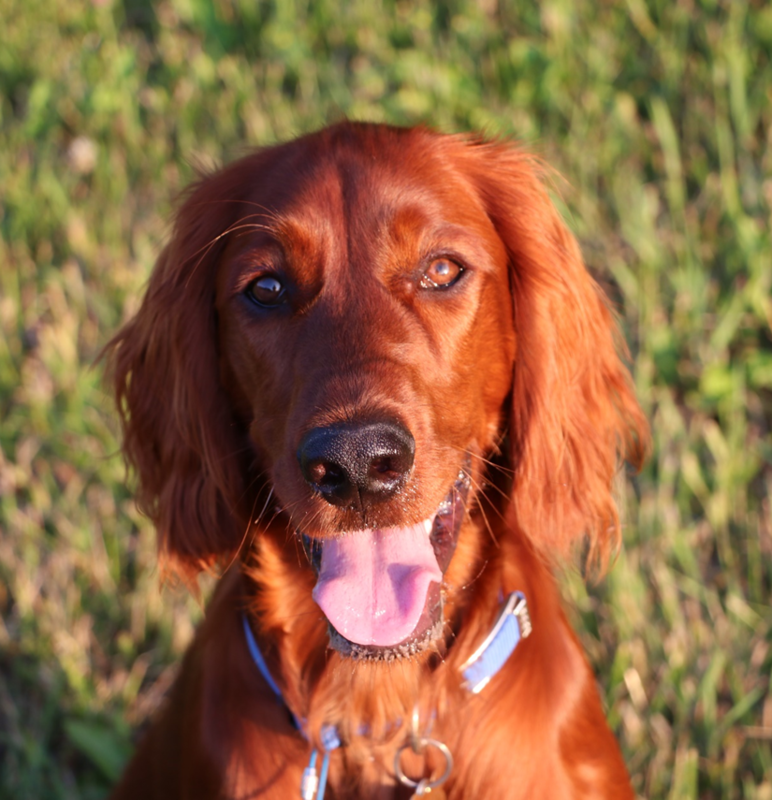 While feeding Maureen’s two dogs treats, I mentioned that I was thinking about getting an Irish Setter. Maureen’s response was short and to the point, “Get one.” Just before Christmas last year, I got a two-month-old puppy named Ginger. Maureen helped me train Ginger, but Irish Setters aren’t the easiest dogs to train due to having impulse control issues; she is an overly active 70-pound puppy. A week ago, Maureen saw me walking Ginger and wanted to know how Ginger’s training was going. I love Ginger, but the training was going slowly. Again, her response was again short and to the point, “Call Shalena. No, I will.” The next day, Shalena called and setup an appointment to help me with Ginger. I was delighted. I went to bed that night a happy man…only to wake up in the early hours of August 8 wondering about my courage or rather lack of courage. I can’t have Maureen deciding things for me. I looked at the ceiling in my bedroom, and I decided to act. Instead of pondering about all the various questions and issues facing me, I needed to carpe diem. For the remaining hours before the dawn arrived, I pondered. Dawn arrived, and I woke up Ginger. We went on our daily circumnavigating the lake that I live on. These daily excursions are a time for Ginger to run free, a time for me to think, and a time for us to talk. At the end of the lake where the road isn’t completed, which leaves only a path, Ginger and I talked about my decision about returning to Burma, came home, cleaned-up, had breakfast, and wrote to Patrick Morris at Indochina Travel Company. I have used his travel agency to go to Indochina and also Myanmar. Both trips were a month long. I told Patrick that I wanted to return to Myanmar around December 15 to January 5. I also made it clear to Patrick about several places that I wish to revisit, several friends like Moh Moh and her family, and be there on January 4, which will be the 70th anniversary of General Aung San getting the British out of Burma. Finally, I mentioned emailing Patrick Morris about setting up my itinerary. The day that I sent it was August 8, which was the 29th anniversary of 8888 Uprising at Sule Pagoda. I take that not as a coincidence, but all the stars are lining up for me. When dreams aren’t realized, what should you do? Continue to dream. N.B. It is interesting to note that I was born on January 20th, the first day of the sign of Aquarius. This is an interesting video about Julius Caesar.